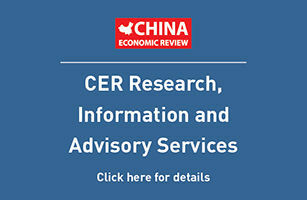 Nine Dragon Paper (2689.HK), GCL-Poly Energy (3800.HK) and China Medical Technologies (CMED.NASDAQ) are just a few of the 35 Chinese companies that may be unable to raise funds from capital markets due to escalating concerns about corporate governance at Chinese companies, Bloomberg said, citing a report by Fitch Ratings. The rating company’s report identified traits that investors in Chinese companies should be alert to, including high levels of cash – which can mask accounting issues – concentrated private ownership, and independent directors who remain on boards for longer than five years. Investors have become increasingly cautious about the Chinese market after short-sellers revealed companies like Longtop Financial Technologies (LFT.NYSE) and Sino-Forest Corp (TRE.TSE) were exaggerating the scale of their operations. Rating agency Moody’s last week warned of corporate governance “red flags” at five Chinese companies, causing shares of West China Cement (2223.HK) to plummet.